It was time to leave La Serena. 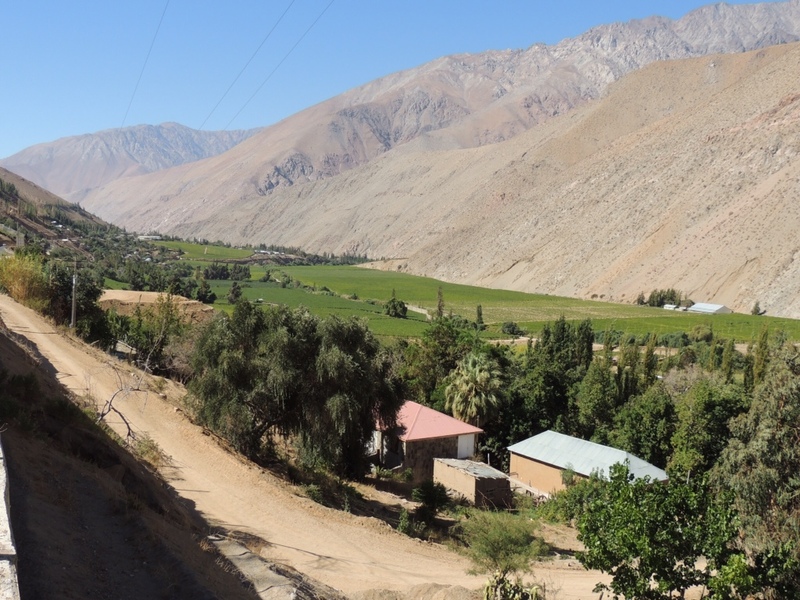 I said my goodbyes to the Argentines, checked out of the Aji Verde Hostal and headed to the bus terminal so I could continue my journey 150km east to the Elqui Valley (or Valle de Elqui). 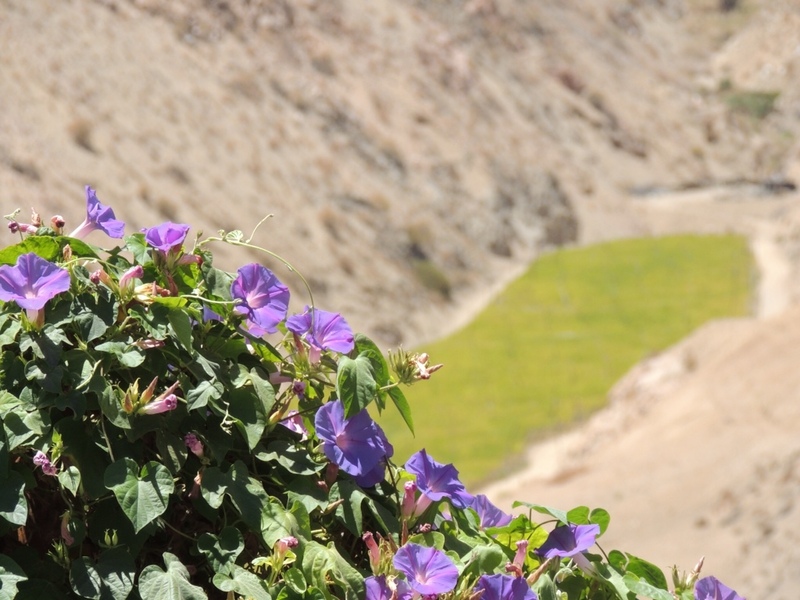 The bus ride from La Serena down into the valley (4000CHP, $8AUD) is simply stunning. 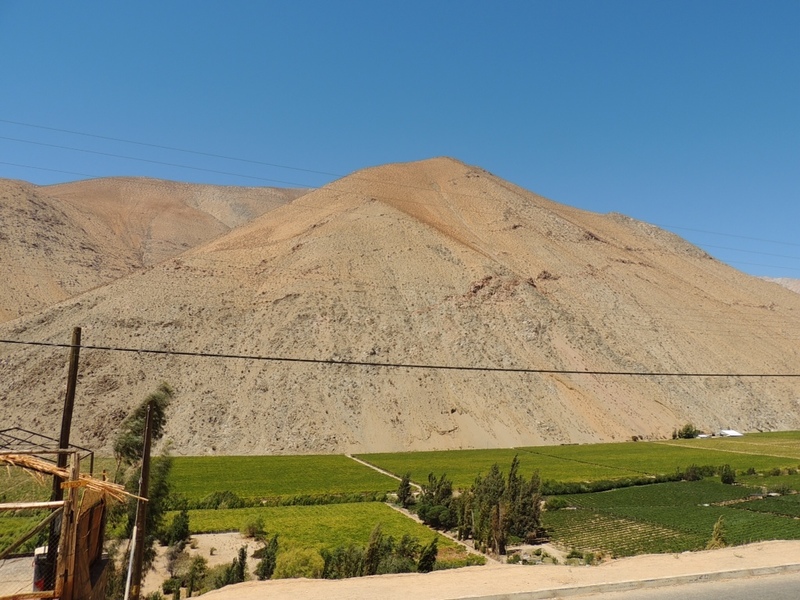 Your mind is taken away from the questionable driving skills and emotional stability of Chilean bus drivers as the gigantic Andes envelop both sides of the bus, and the mountainsides and valley below turn all kinds of green. I couldn't believe my luck while researching hostels online the day before when I had scored a private room in an American style B&B for just 12000CHP, above my budget but comparably low for the same room anywhere else. 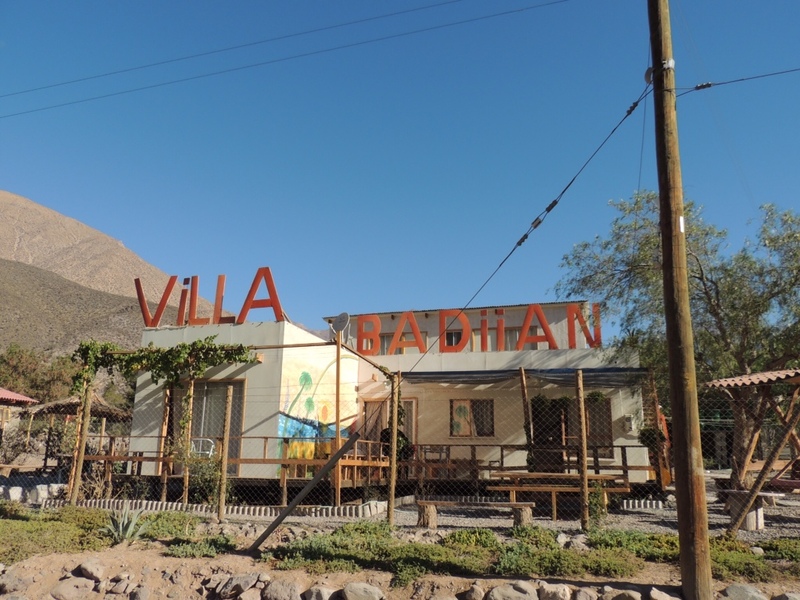 The hostal/B&B was located in La Campana just 32km past Vicuña, the 'capital' of the valley. The B&B/Hostal, Villa Badiian, is a 400m walk from the roadside and run by an expat American couple, Mehrmet and Chris. 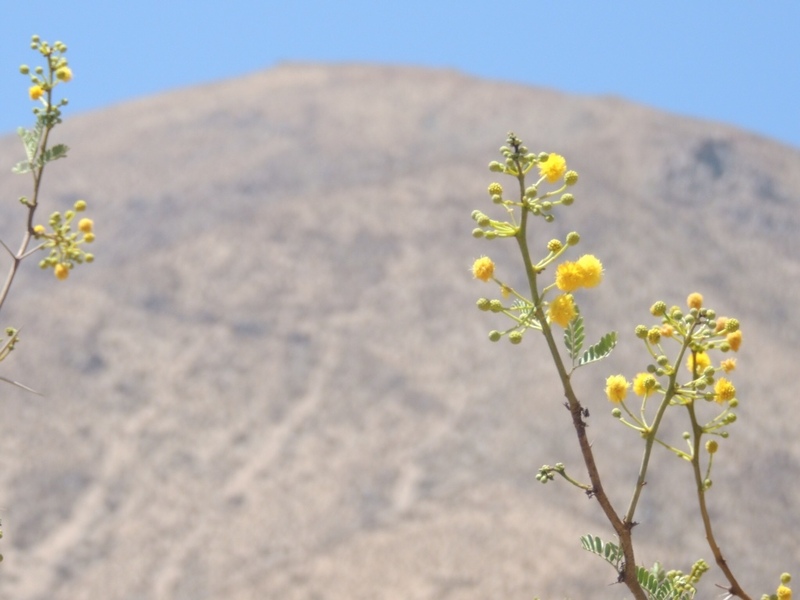 Upon my arrival, I was blessed with free laundry (having worn the same clothes for two weeks, I was due) and had time to plan my two days and one night in the valley. 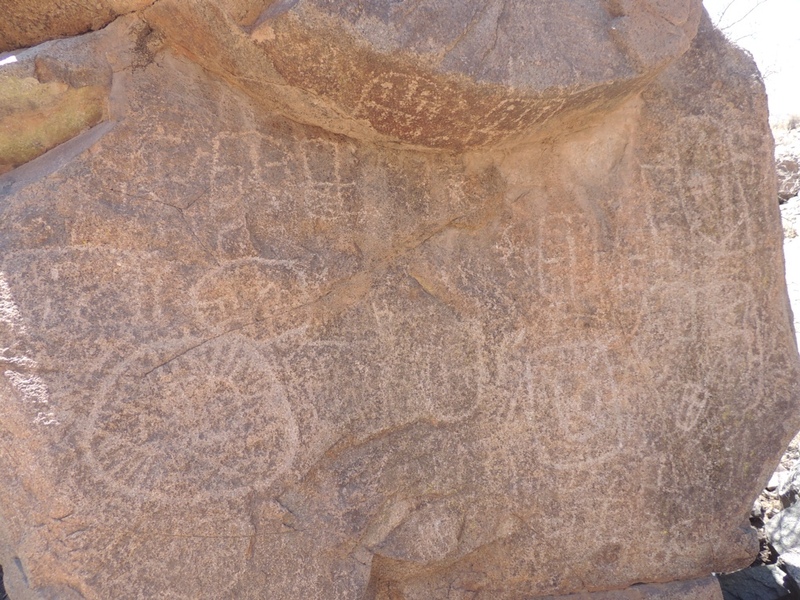 I took a 5km walk from the back of La Campana to visit some Incan hieroglyphs and take in some more views of the surrounding area. 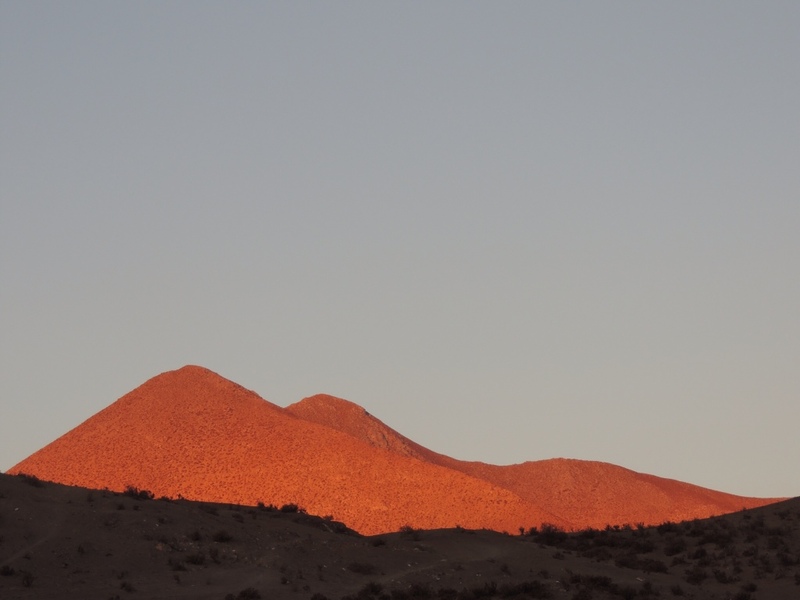 This region in Northern Chile is among the best in the world for stargazing and houses several high-powered telescopes, some of which are open to the public for tours. That evening I decided to visit the Mamalluca observatory. I spent a couple of hours in nearby Vincuña before heading to the observatory at 10:30pm. I don't want to encourage anyone to not visit the observatory, but I think my experience was a bit unlucky. The tour group was made up of over thirty people, parts of the tour were missed and our guide didn't seem very knowledgeable. Having read such awesome things about the observatory I think that perhaps I went in with slightly high expectations. Perhaps others will have more luck. 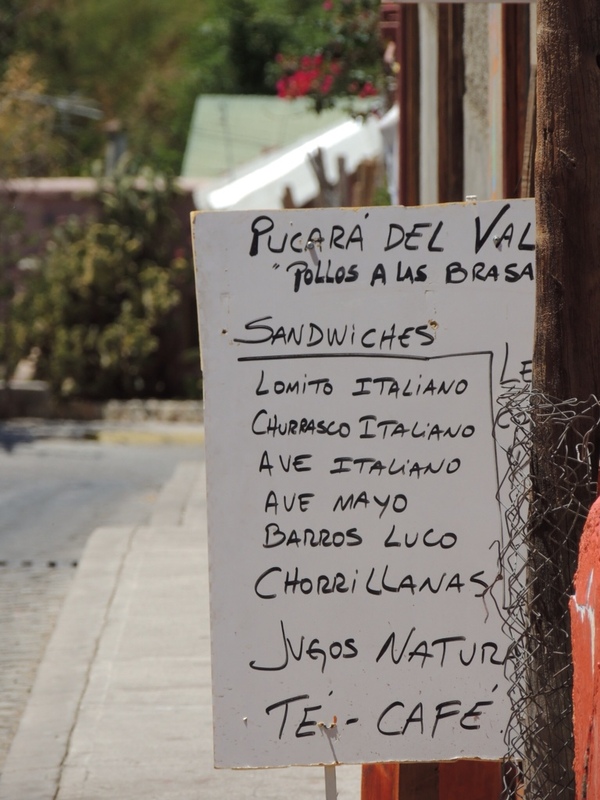 Following an amazing breakfast of bacon and eggs the next morning, I caught an early bus to Elqui, the central town in the valley. I chose to do a combination of walking and hitchhiking over the course of the day, which was definitely the right choice. Walking between the towns (2-10km apart) allowed me to take in the views from the roadside and take some brilliant photos. 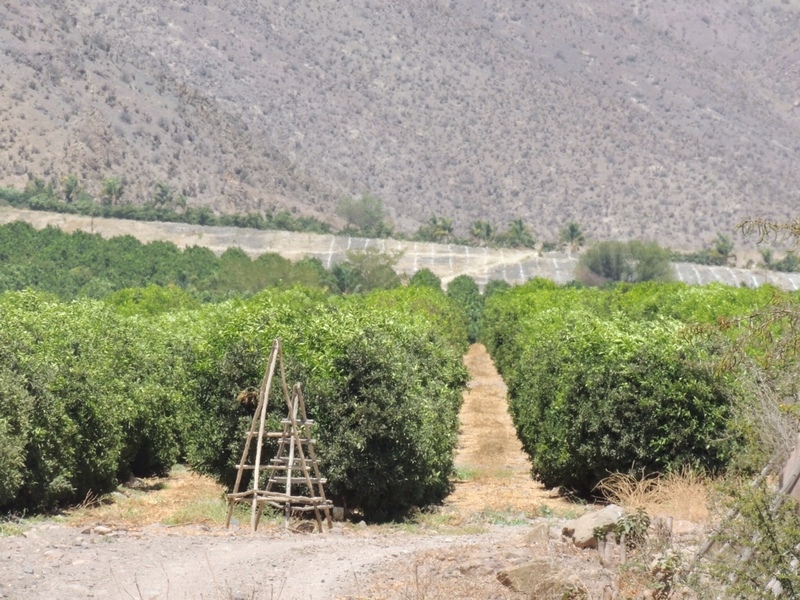 The Elqui Valley is also famous for its brewing of the national Chilean alcohol, Pisco, named after the central town. The best distillery I visited on the day was in Los Nichos. Although the tour was entirely in Spanish, I just made sure I laughed when everyone else did. 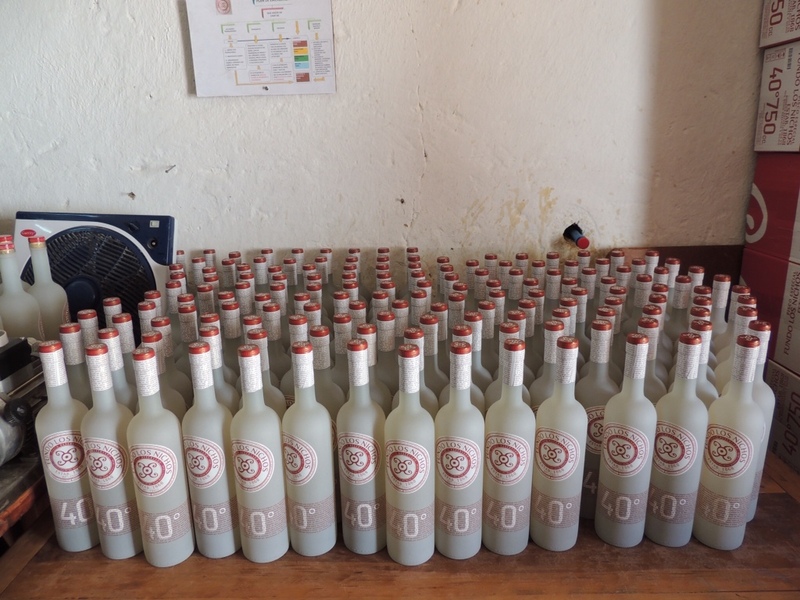 Plus, we got some bonus shots of Pisco at the end of the tour. 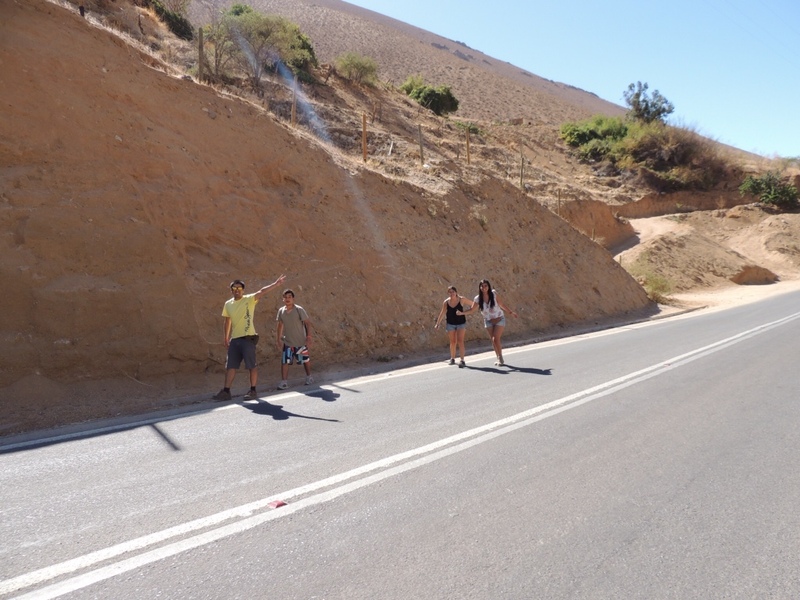 I also hitched a ride back from Los Nichos to Montegrande (12km) along with eight other twenty-something Chileans in the back of a ute. The winding roads made for quite a wild ride! 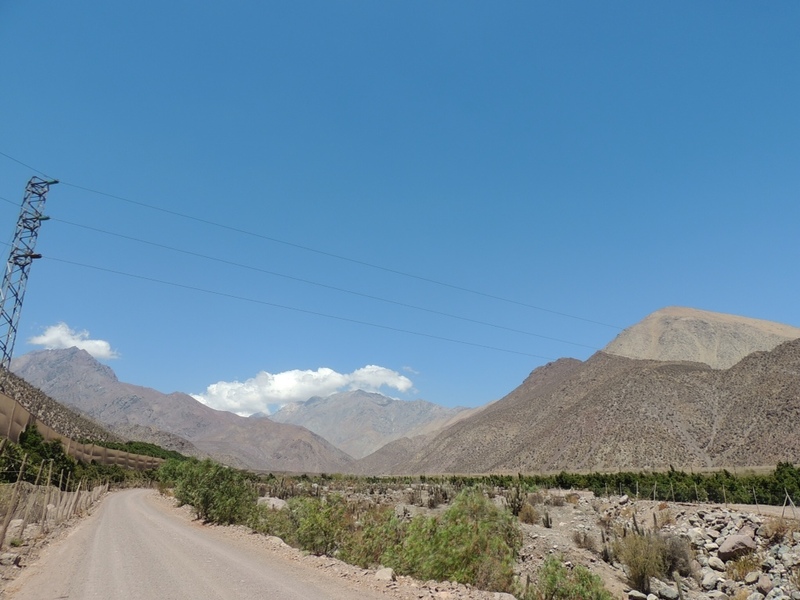 My luck with hitching continued from Elqui right back to La Serena (180km), first with a couple who dropped me in La Campana where I collected my things and said my goodbyes to Chris and Mehrmet, and second with a girl who picked me up between La Campana and Vicuña. This is where things got a little bit scary. The girl, Natalie, spoke no English. In typically rushed Chilean Spanish she told me she was visiting her friend in Vincuña for ten minutes, and then heading to La Serena afterwards. “Perfecto!”, I said, “Muchas gracias!”. 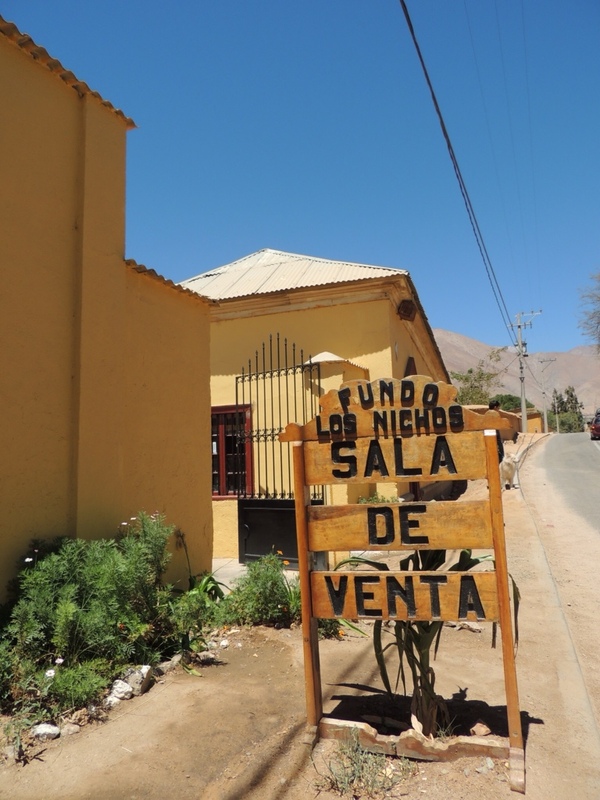 What Natalie hadn't told me (or what got lost in translation) was that her friend lived out in the back streets of Vicuña. The back streets of any Chilean town are not pleasant, particularly this one. 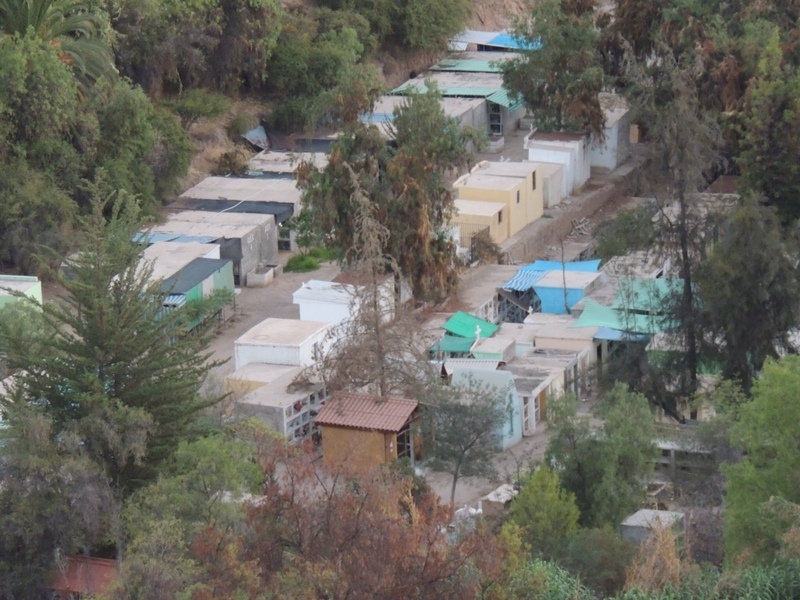 The flip side of Chilean life is a large proportion of the population living in abject poverty. There don't seem to be many rules governing minimum wage, and people work seemingly fruitless jobs – for example, selling small lolly bags on the streets to make a living of no more than 2000CHP ($4AUD) per day. 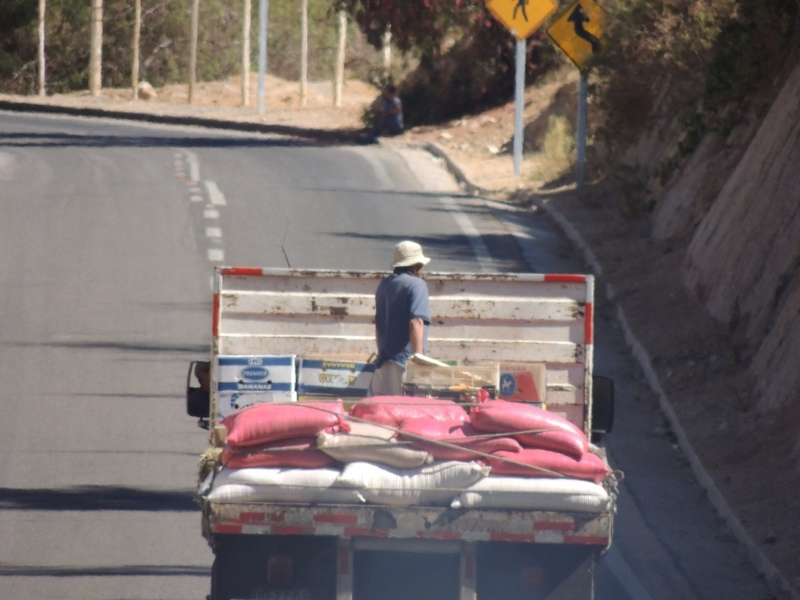 As we drove deeper into the ghetto and became surrounded by cardboard houses and shoeless children playing soccer in the street, I became more and more convinced that this was the day I was going to die. Natalie pulled up outside an old corrugated iron warehouse that appeared to have been partitioned into apartments with cloth and cardboard, and told me to wait in the car. She removed a small bag from the back seat, climbed out of the car and entered the makeshift home through a rusty gate bordered with barbed wire. During the next ten minutes, a number of grisly thoughts went through my mind. The keys were in the ignition, if a monster walked out with a machete would I have time to get across to the driver's side? The car was also a manual, left-hand drive and I wondered if my leg would be shaking too much to avoid stalling the car. Ten minutes later, after having successfully sweated out every drop of moisture in my body through my palms, a calm looking Natalie emerged from the makeshift apartment block, alone, and climbed into the driver's seat. “Okay?”, she smiled, “Vamos!”. You'll forgive me for not taking any photos while in the shanty town, although there is one below that I had taken from a distance the day before. Upon arrival back in La Serena, after a short walk from the freeway at the edge of town, I met a cool group consisting of two Germans, two Chileans, two Canadians and a few others, and we made the most of some local beaches and enjoyed a night out in a Coquimbo nightclub which alternated between Chilean and English music every ten minutes. I'm in Santiago for the next couple of days before heading south towards Patagonia around Wednesday. Enjoy the photos below and please leave a comment if you get a chance, I'd love to hear from people. 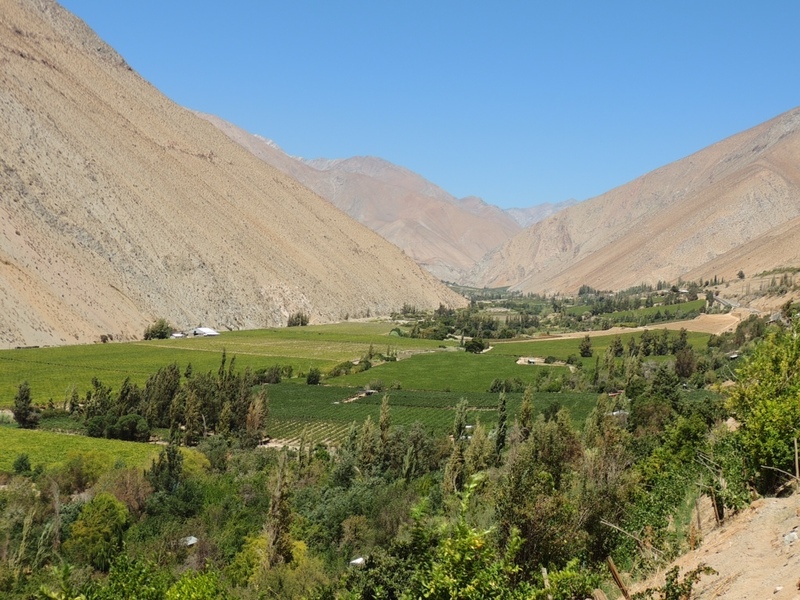 The Elquí Valley is on my must-see list. 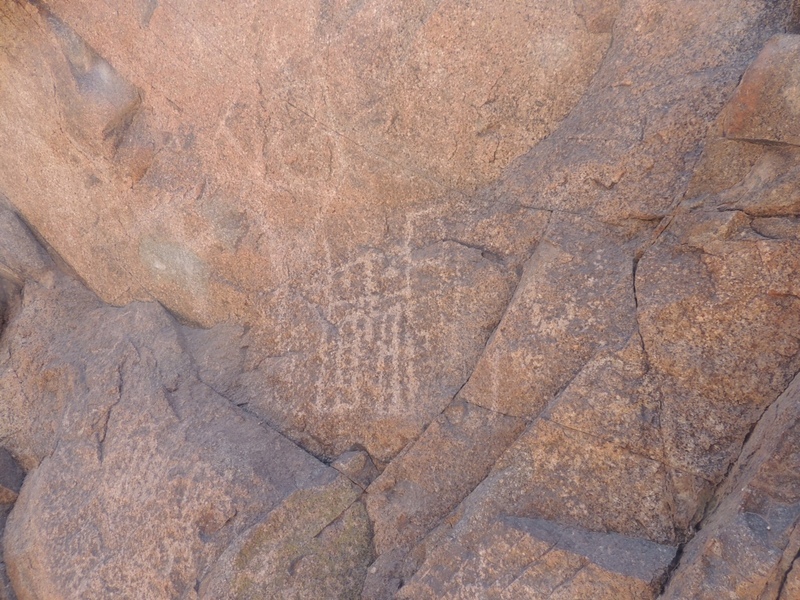 If you are in La Serena for more than a day, be sure to take a tour or organise a trip out there. You won't regret it. 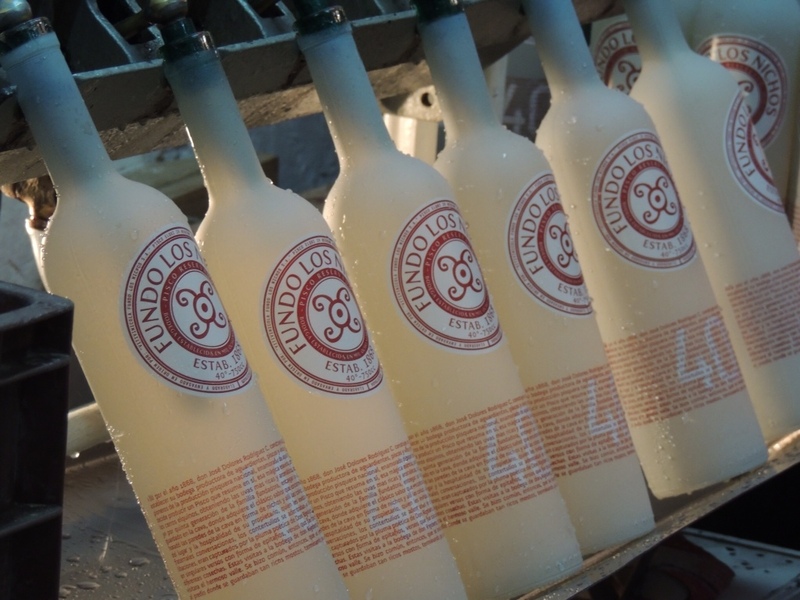 The Los Nichos distillery is a short hitch up the road, and offers better value for money than the expensive Mistral Pisco tour. Hitchhiking here is common and safe. I totally recommend it. Don't go to the ghetto. Thanks again for your hospitality, Chris! All the best with your future plans. Excellent fatboy, more photos of yourself please, just for your father…. Can I get pisco at Dan Murphy’s ???? teddy felicitaciones por lo escrito es muy emocionante y me pone feliz que disfrutes de chile espero que en tu siguiente rumbo sea mejor y mas emocionante suerte y cuenta con nuestra familia.